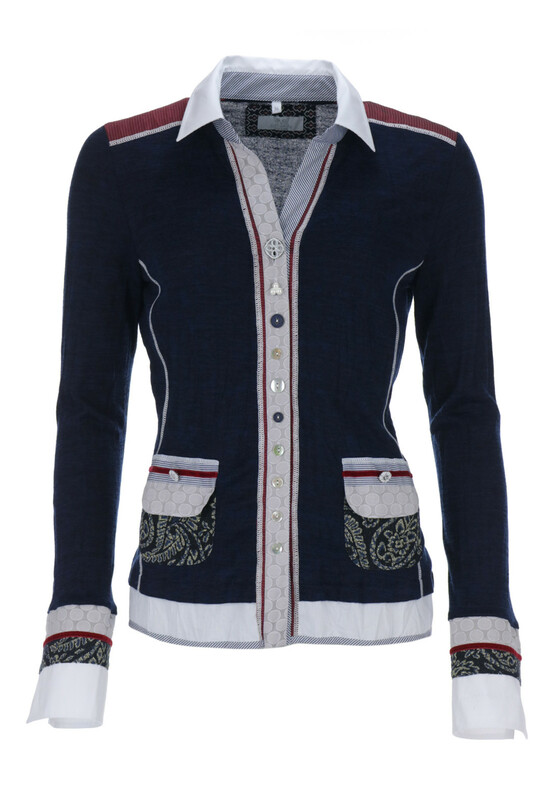 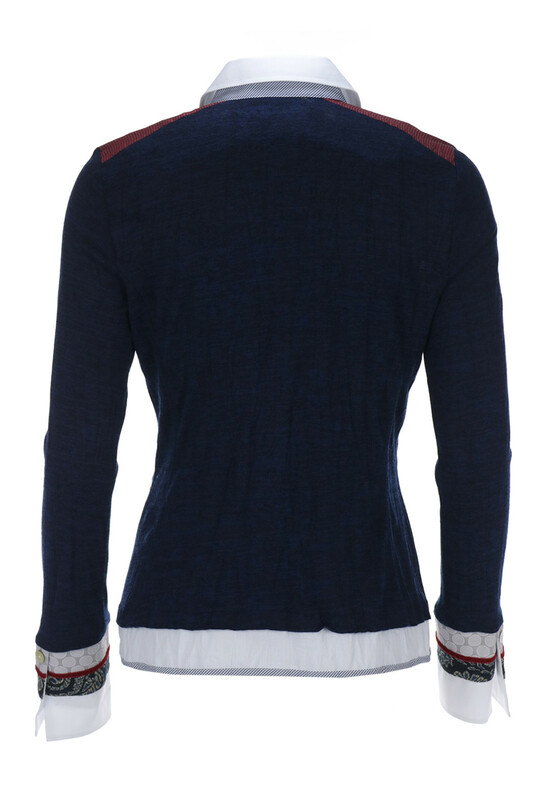 A distinctive update to add to your separates collection, this navy cardigan is styled like a blouse and features a white cotton blend turn down collar, cuffs and trim at the hem. 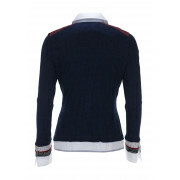 Made from soft fine knit fabric with a crushed texture and designed with a fitted shape. 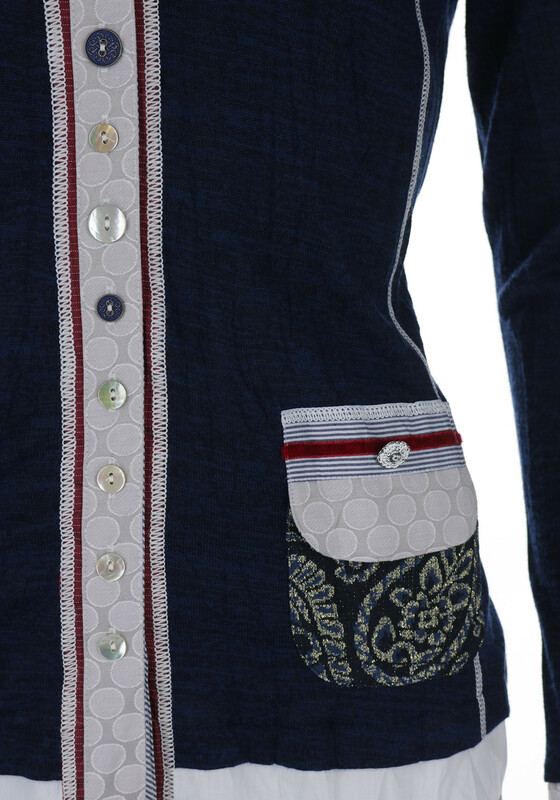 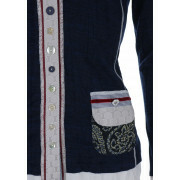 Featuring baroque print pockets and a full button placket.